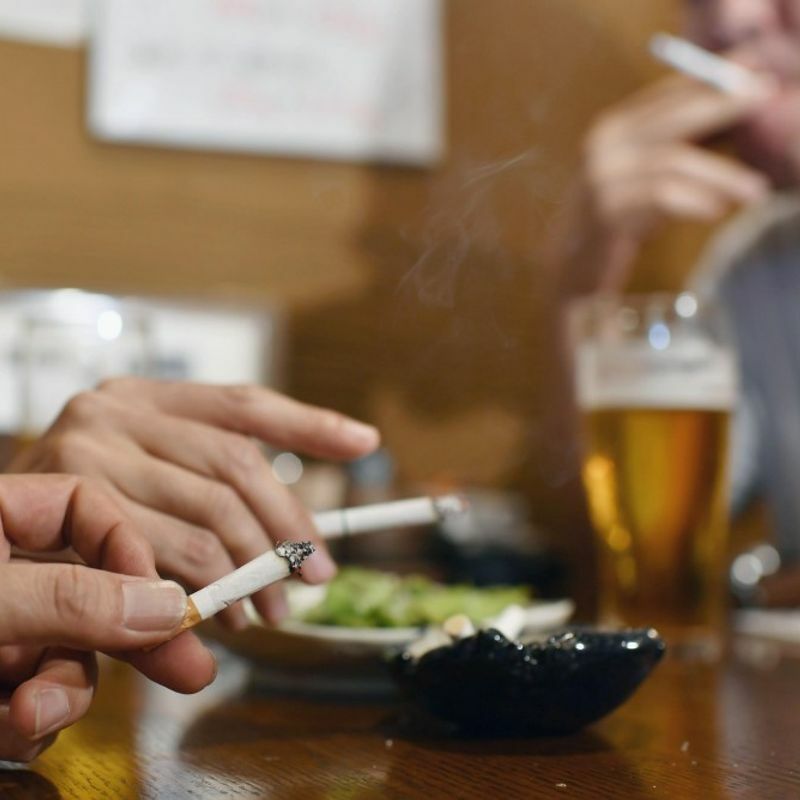 TOKYO - Japan's recently unveiled antismoking plan has sparked an outcry from lung cancer patients and other activists as it has a gaping loophole -- basically allowing customers at restaurants and bars to carry on lighting up. The plan released last Tuesday by the health ministry backpedaled from its initial goal of introducing a total indoor smoking ban to prevent passive smoking in public spaces ahead of the 2020 Tokyo Olympic and Paralympic Games due to strong opposition by the tobacco and restaurant industries. Japan is among the lowest-ranked countries in terms of tobacco control, with no smoke-free law covering indoor public spaces. The new measure will protect minors and patients at hospitals from secondhand smoking, but in doing so will cover only four of the eight types of public facilities surveyed by the World Health Organization to measure antismoking steps. A group of lung cancer patients has fiercely protested the latest government plan, saying it is a "reversion" of the global trend to tighten smoking control. In Japan, more than 80 percent of the population are nonsmokers and an estimated 15,000 people die annually from secondhand smoke, according to the health ministry. But Tokuaki Shobayashi, a senior official of the Health, Labor and Welfare Ministry, said the government needs to take "a first step" with the modest plan as a tougher bill would be rejected in parliament by the ruling Liberal Democratic Party supported by the tobacco and restaurant industries. Some LDP members have urged the ministry to recognize "the right to smoke." 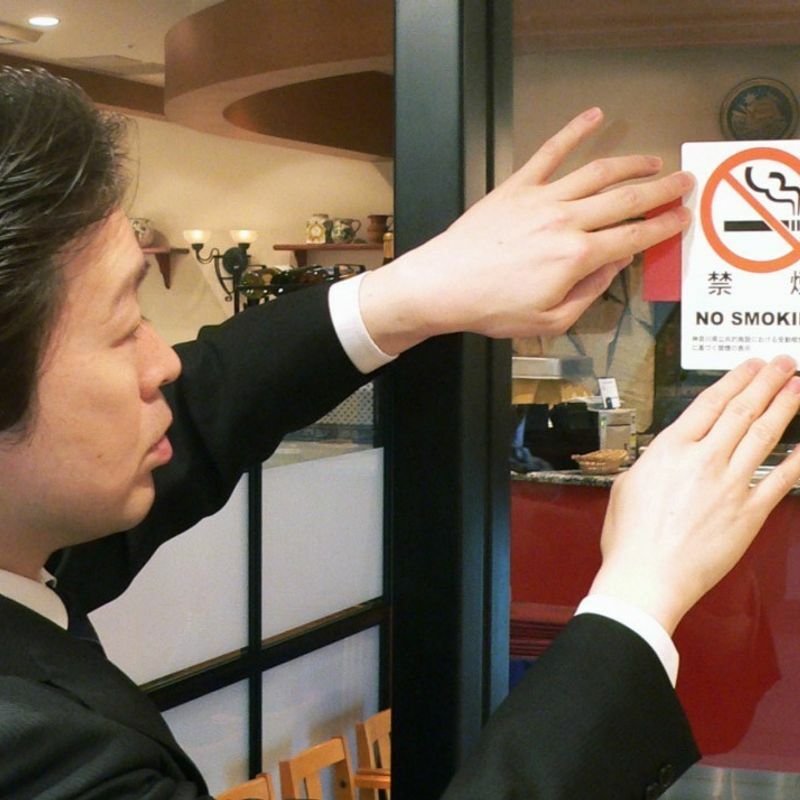 Shobayashi drafted a bill 17 years ago to urge restaurant managers and other facility operators in Japan to "make efforts" to prevent secondhand smoking. At that time, he was denounced by both the pro-smoking LDP and antismoking bodies calling for stricter regulations. Following negotiations with the LDP, the health ministry has made compromises and decided under the new plan to permit smoking in restaurants and bars if they set up special rooms for exclusive use by smokers where no food or drink will be served. The ministry is currently negotiating with the LDP over the scope of restaurants and bars that are to be exempted from the requirement to establish separate smoking areas. 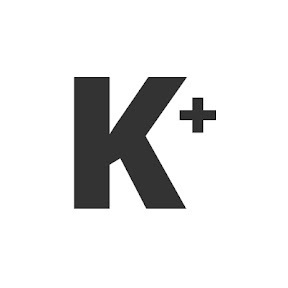 It initially planned to exempt eateries with a floor space of up to 30 square meters, but is now leaning toward expanding the scope to those with a floor space of up to 150 sq meters. In the exempted facilities, smoking will be allowed inside if they hang a sign indicating it is a "smoking space." Pro-smoking people say customers who shun tobacco would not enter these places. 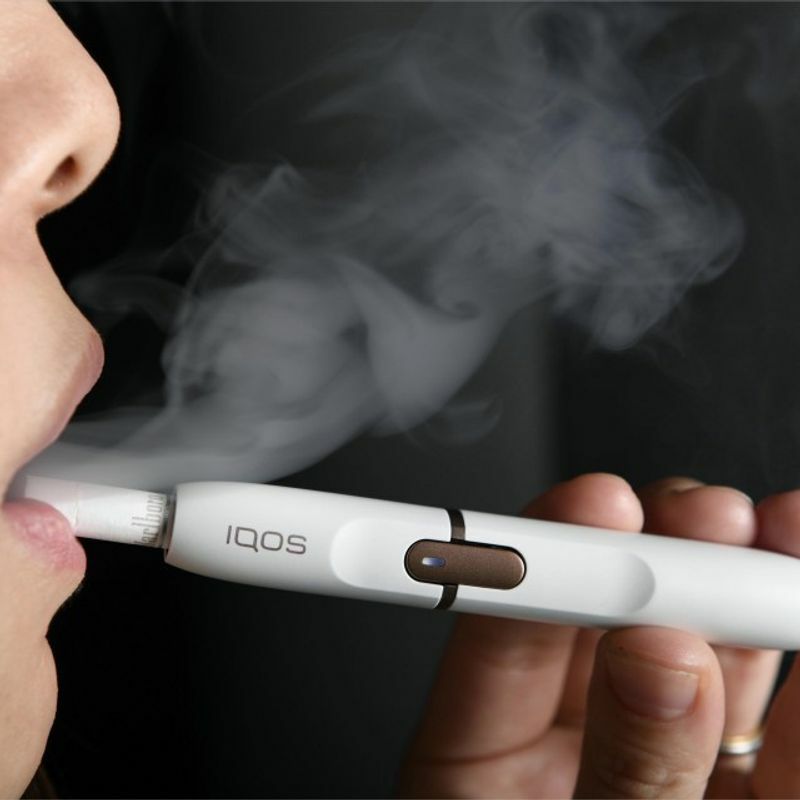 However, Kazuo Hasegawa, chairman of the Japan Lung Cancer Alliance, said his group's survey has revealed many people reluctantly go to such facilities and suffer from passive smoking. "According to the questionnaire of patients, many people found it hard to turn down requests by their bosses or clients to go to restaurants where smoking is allowed on such occasions as farewell and year-end parties," he said. Some Japanese traditional "izakaya" pub chains which serve drinks and light meals to customers were worried about the ministry's new antismoking plan. Watami Co., which operates more than 400 restaurants across the country, has already established a "smoking box" at some outlets but merely separates seats for smokers from those for nonsmokers at most facilities. A Watami official expressed dismay at the new rules but said the company will obey them when they are finalized. Another izakaya operator, Monteroza Co., said, "We cannot take action unless the criteria are clearly set for eateries that must set up a special smoking area." Meanwhile, Italian restaurant chain Saizeriya Co., which runs more than 1,000 stores throughout Japan, said it will basically ban smoking at the table by September 2019. Whether a smoking ban affects restaurant or bar sales remains open to question. The U.S. National Cancer Institute and some other organizations concluded last year after analyzing a number of studies in developed countries that a smoking ban does not decrease customers or lower productivity of smoking staff who need to go to other places to puff. 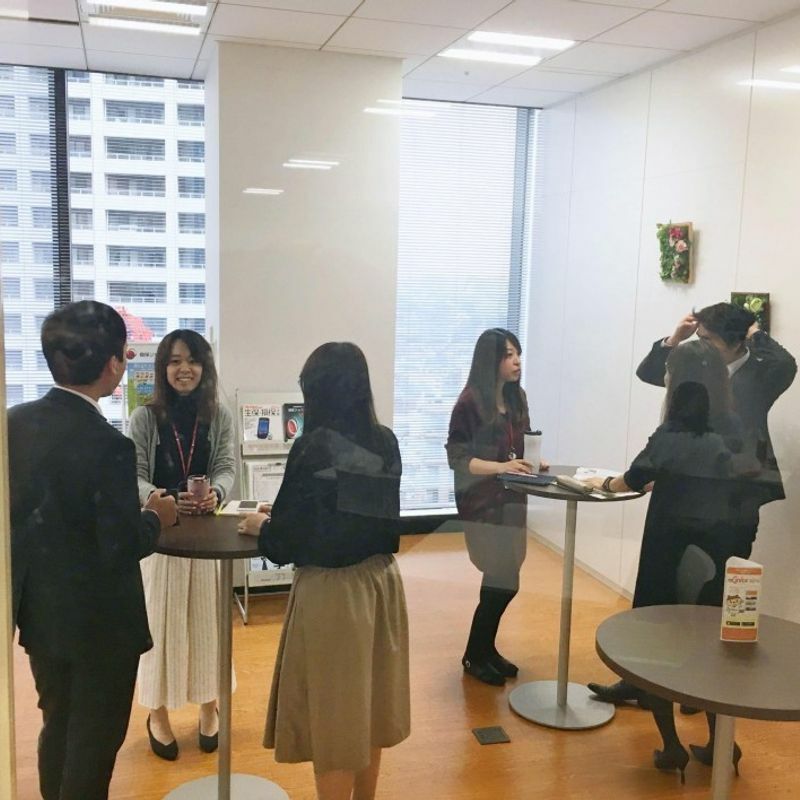 The Tokyo metropolitan government, which will host the 2020 Olympics, had been exploring more stringent tobacco control measures than those in the state plan, with the aim of implementing them before the Rugby World Cup next year to be held across Japan. Under reform-minded Tokyo Gov. Yuriko Koike, the metropolitan government unveiled its basic plan last September, saying a total indoor smoking ban will be introduced at public places, but restaurants and bars with a floor area of up to 30 sq meters will be exempted if they obtain consent from all employees to work in a smoking environment. However, the strict plan drew more opposition than support from the public, leading the metropolitan government to postpone submitting a draft ordinance to its assembly session to be convened later this month. The governor "hesitated over whether to propose a strict antismoking plan to the metropolitan assembly in February" even before the health ministry's new measure was released in late January, a senior Tokyo government official said. Koike, once considered as a rising star to challenge Prime Minister Shinzo Abe's LDP when she founded the opposition Party of Hope before last October's general election, has seen her political influence quickly wither following the party's lackluster performance in the poll. She later resigned as head of the party. "Her political career will be terminated if (the antismoking) ordinance is rejected by the metropolitan assembly," said a Tokyo government official. The Tokyo government is now considering relaxing the planned tobacco regulations so that they could be accepted by restaurants and bars run by individuals who are worried about the possible negative impact on their businesses.